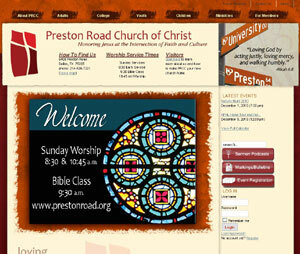 PCA Consulting, Inc. dba Web Design & Hosting was incorporated in January of 1999 by Christina Patterson. PCA is a full service Internet presence company. We help companies with their Web site solutions from start to finish: from registering a domain name to designing a Web site that matches a company's culture and goals to implementing the new Web site into a company's business plan. We at PCA are professional Web developers with dynamic business backgrounds. We feel that customer satisfaction is an integral part of doing business; thus, we strive for 100% satisfaction from all of our clients. The Web very quickly became an integral part of standard business practices and forever changed the way we do business. The Web is reducing operating costs of businesses, helping companies to attain new levels of productivity, and liberating information. To compete, companies need to create a professional appearance on the Web. More importantly, they must integrate their new Web site into all of their business functions including, but not limited to, marketing, sales and public relations. For these reasons, it is important to hire a Web development specialist who understands business practices as well as graphic design and programming.